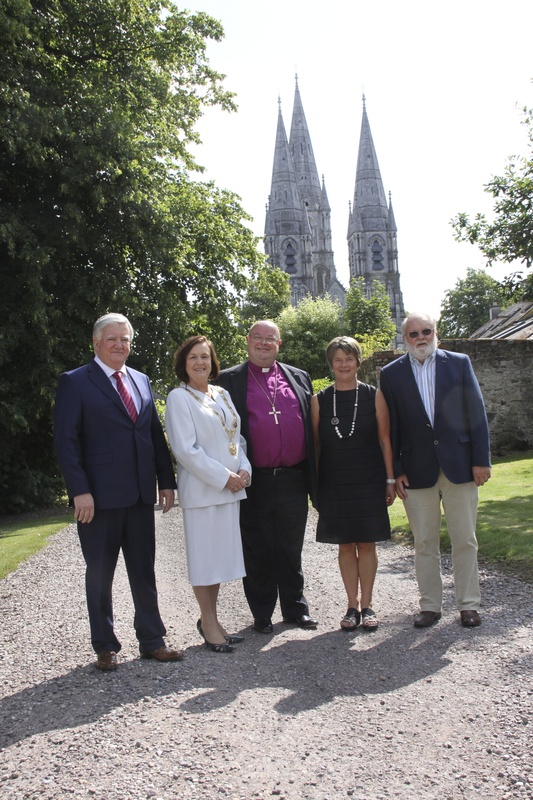 On Wednesday, 30th July 2014, the recently elected Lord Mayor of Cork, Councillor Mary Shields, accompanied by her husband Michael, and the acting Cork City Manager, Mr Dan Buggy, visited the Bishop of Cork, Dr Paul Colton and Mrs Susan Colton at the Bishop’s Palace in Cork City. This visit is the annual courtesy call of newly elected Lords Mayor to the Bishop. At the annual courtesy call of the Lord Mayor of Cork to the Bishop of Cork are (l-r): Mr Dan Buddy (Acting Cork City Manager;, the Lord Mayor of Cork, Cllr Mary Shields; the Bishop of Cork, the Right Reverend Dr Paul Colton; Mrs Susan Colton, and Mr Michael Shields. 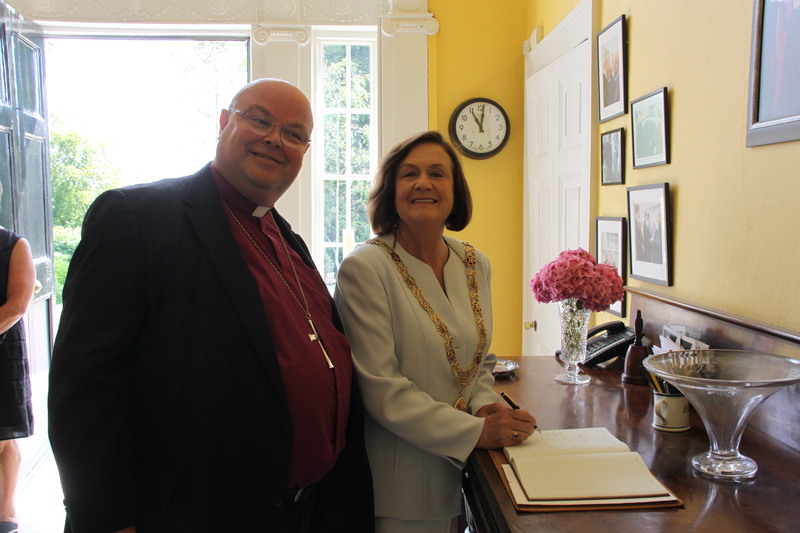 The Lord Mayor of Cork, Cllr Mary Shields (right), signs the visitors’ book to mark her courtesy call on the Bishop of Cork. This entry was posted in Bishop, Church in Society, Cork, Diocese. Bookmark the permalink.